EdX a non-profit created by Harvard and MIT brings the best of higher education to students of all ages anywhere in the world via the internet with free MOOCs. Course selection is somewhat limited compare to Coursera and I am surprised that they don’t offer more Computer Science courses. Even they do offer, the courses target high school student, first-year and second-year undergraduate students. 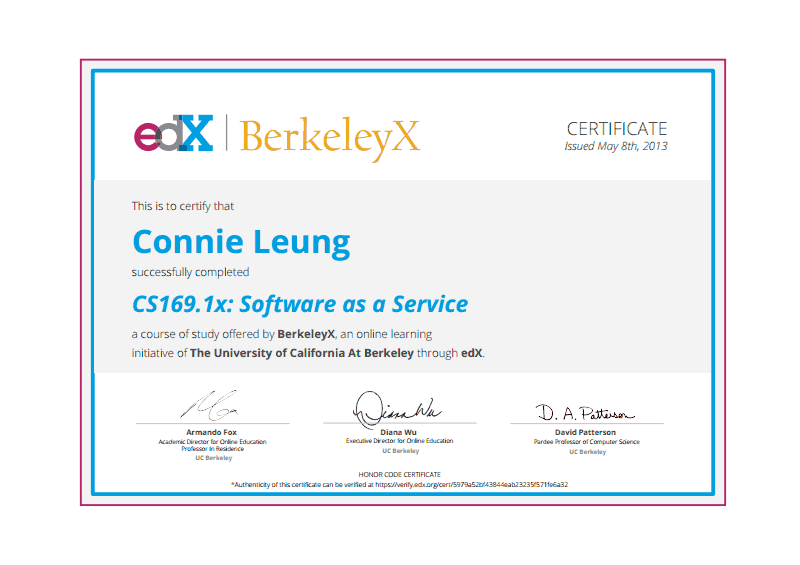 I completed one EDX course so far and it was a good one. The course title is CS-169.1x: Software as a Service that covers Ruby on Rails, BDD, TDD, Heroku and cloud deployment. My background is Java and J2EE in which TDD and BDD are painful to implement. On the other hand, Cucumber and RSpec gems are available to perform BDD and TDD in Ruby on Rails framework.